Vasectomy Institute of Greater Washington & Northern Virginia- Best Office Vasectomy - Insurances accepted. We offer painless vasectomy in 5-7 minutes under local anesthesia in our luxurious Lansdowne location. Most insurance also accepted. Same day evaluation and vasectomy available by Dr. Tajkarimi. Only $980 for self pay and high deductible. Office evaluation visit included. We offer late hour and Saturday hours. Call 703-687-3601 to reserve your spot. Beware of high costs of vasectomy at surgery center. Dr. Tajkarimi does not perform vasectomy at surgery center except if you request it. How much is the cost difference to have Vasectomy under IV sedation or general anesthesia at the surgery center or hospital? This amount will be billed to your insurance by other surgeons, anesthesiologists, and surgery centers . 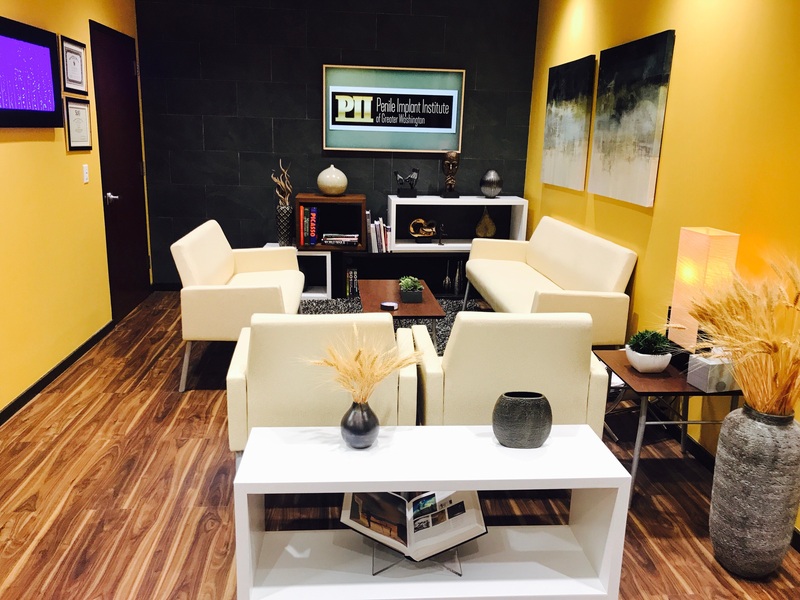 Dr. Tajkarimi offers painless, hassle free office vasectomy, in a very modern and relaxed setting. We encourage couples to be present during the procedure if they desire. Vasectomy will take less than 5-7 minutes at the Loudoun location while you watch TV channel of your choice. You may not get to see two commercials before we are done! However, you are welcome to stay and enjoy the comfortable amenities! Initial consultation is followed by office vasectomy several days later as desired. Late afternoon and Saturday vasectomies available. Dr. Tajkarimi has performed thousands of vasectomies in the past 14 years with 100% success. “You should expect to return to normal activities within 3 days with minimal restrictions”, Dr. Taj says. Contraception is required for additional 3 months. If you and your spouse are curious about vasectomy, please see Dr. Tajkarimi. You will learn everything there is to know about it by the end of the visit. We accept most insurances. No surgery center fees. However, if you wish to have vasectomy under full anesthesia, we are happy to accommodate you. For self-pay patients, we offer consultation and vasectomy in one bundle (same day or two separate days) for total cost of $950.